U.S.A. Without A Spaceflight Program? Absolutely Not! With the recent ending of the Space Shuttle program, many have jumped to the conclusion that the United States is without a spaceflight program. Not true. So when is the next American launch to the Space Station? Well, it’s only 4 Months away on Nov 30th. SpaceX will be launching it’s Dragon capsule to the International Space Station. 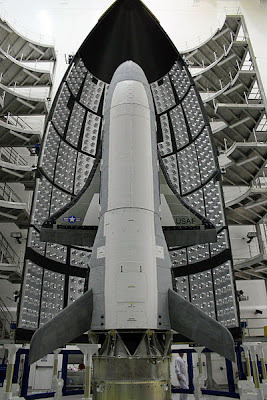 Considering that the average time between Shuttle Launches was 2.6 months, the time after the loss of the Space Shuttle Challenger was 8 months, and the time after the loss of the Space Shuttle Columbia was 29 months this is just a brief hiccup in the long spaceflight history of the U.S.A. While the Nov 30th flight was only planned as a demonstration, SpaceX officials have said “"If we're up there, we might as well take some stuff up and bring some stuff back down." Another Dragon is officially set to bring more cargo up to the I.S.S. 8 Months from now. Orbital Science’s Cygnus capsule is also to start docking with the I.S.S. in December.and begin operations in early 2012. 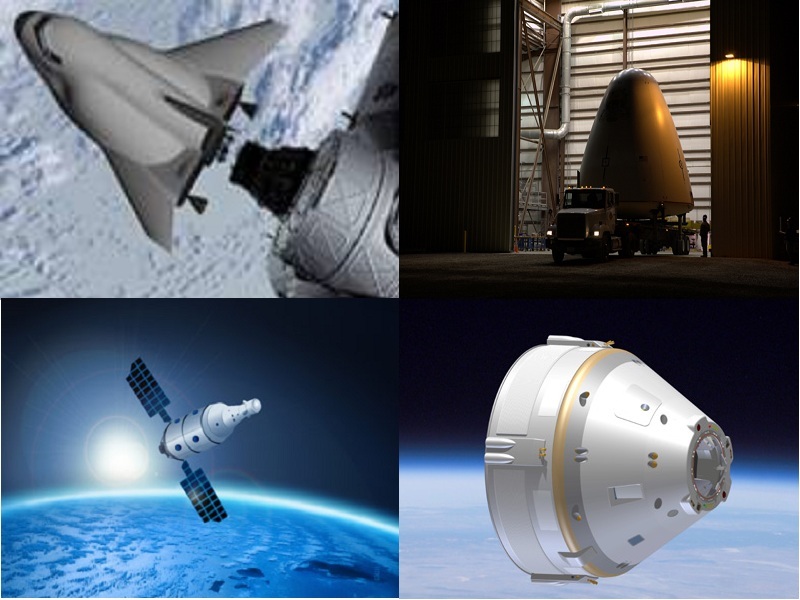 While all these orbiters are fully automatic and do not yet support human spaceflight, SpaceX’s Dragon capsule is set for testing carrying twice as many passengers at 1/3rd the cost per passenger (compared to the Russian Soyuz) and will be ready in 2014. That’s approximately 29 months. Which is the same time frame to get humans into orbit as after the Columbia disaster. There’s also Virgin Galactic and XCOR (Both shown above) planning on launching commercial passengers in 2013 or 2014. Don’t forget about Sierra Nevada Corp., Blue Origin, Excalibur Almaz and Boeing which are all developing their own crew carrying spacecraft to be operational by 2015. Here’s one thing that you aren’t hearing other countries talking about: Space Stations. We all know about the I.S.S., but what about after that? Well, American based Bigelow Aerospace is planning to start launching it’s Commercial Space Station Alpha in 2014 followed by Bravo in 2018. Alpha will have a pressurized volume of 1500 meters cubed compared to the I.S.S. volume of 1000 meters cubed and utilizes inflatable habitats that have already been tested in orbit. This technology uses a fabric that is twice the strength of Kevlar and is based on the cancelled I.S.S. Transhab project. Are we seeing America falling behind in the space launch and development sector? No, just a re-tooling for a far brighter future that affords better access to space for less cost and is available to everyone. Cool! Thanks for sharing, Mike. P.S. I found your blog through facebook because Diane is a mutual friend. Thanks for the comment. We live off of kudos around here, LOL. I'm glad you enjoyed it.